HOME -> Consumer Marketing -> Acquisition -> New Tide Packaging or Wine Box? Tide laundry detergent and its parent company Procter & gamble have unveiled new eco-friendly packaging. But people are asking, Tide, is that you? 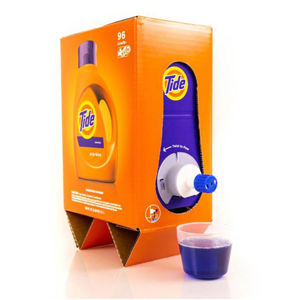 Social media lit up with users comparing the new design, called the Tide Eco-Box, to boxed wine, US Magazine reported. The box sits on a pull-out stand and has a twist-to-open pour along with a measuring cup. Inside, the liquid is sealed in a bag. One tweet raised concerns that Aunt Maggie might think the new box is her new favorite wine. In addition to the eco-friendly design of the box—it uses 60 percent less plastic than shipping an equivalent 150 ounce bottle of Tide since it doesn’t require additional layers of cardboard boxing or bubble wrap—P&G saves money on shipping costs, CNN said. The product arrives in a package the size of a shoe box and will take up less space in a delivery truck. 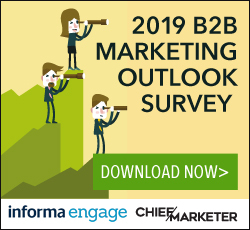 As P&G’s digital business grows—up 30 percent last year to $4.5 billion—it has focused on reducing packaging and shipping costs for a number of its brands. Concerns that the product packaging is similar in look to a food product comes on the heels of the outcry over Tide pods, which critics said look like fruity candy and could be hazardous to children. In addition, the “Tide Pod Challenge” which went viral on social encouraged teens to bite into the pods or cook them in frying pans. Beginning in January the product is expected to be available at Amazon, Walmart’s website and other P&G retail partners’ sites. Social media users wasted no time posting clever tweets.